1. 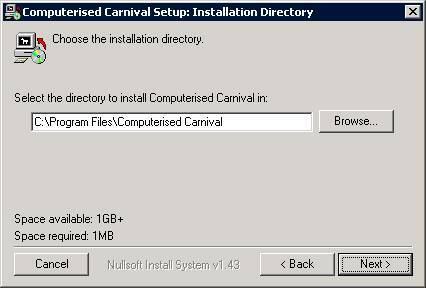 Choose “Install Computerised Carnival from the Menu. 2. 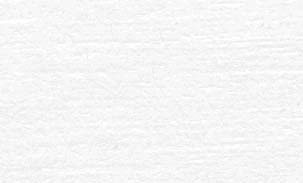 Read and if you agree to the following license, click next. To read the license, use the scrollbar to the right. 5. Click the “Close” button, and when prompted, read the “Read Me” file. 6. 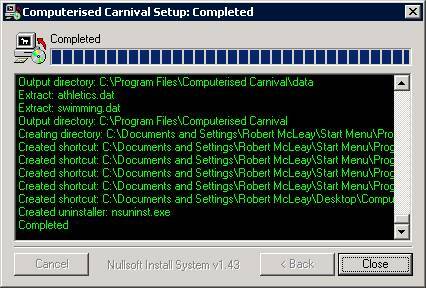 Run Computerised Carnival from the Start Menu or from the Desktop. 7. 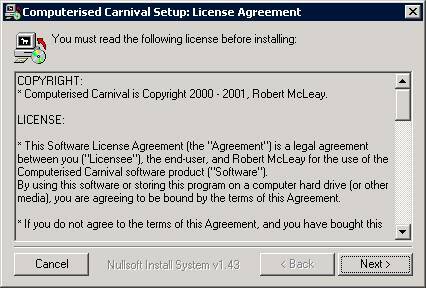 If you receive an error message attempting to run Computerised Carnival, install “Visual Basic Runtimes” off the Computerised Carnival CD.